Hernandez Cuts Crime Rate In Mexico Whenever He Plays - kaycee Weezy! 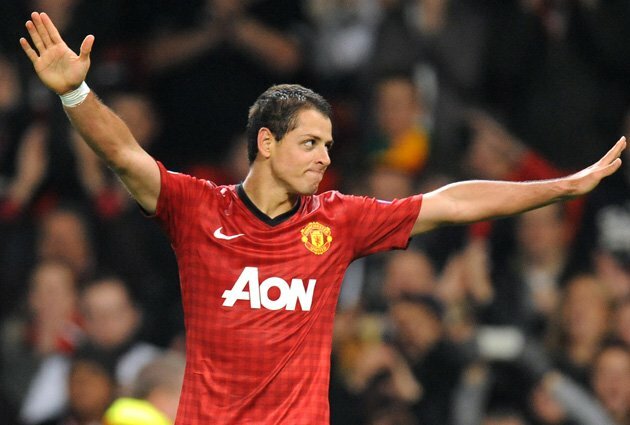 Anybody who has seen Manchester United striker Javier Hernandez will know that he is a man of great talents. But it turns out that Chicharito's talents go way beyond merely prodding footballs into nets: it seems that he almost literally has the power of life and death in his native Mexico. Mexican police have discovered that the country's horrific crime rate drops enormously whenever the 24-year-old is playing, as criminals across the country down their weapons of war to watch the match. And in a country where an estimated 60,000 people have been slain in drug-related gang warfare over the past six years, any respite from the endless series of shootings, kidnappings, armed raids and other crimes is more than welcome. "Crimes like car jacking, muggings and robberies go down. It seems even the criminals want to take time off to see our hero play," Mexico City police chief Jorge Carlos Martinez told The Sun, adding how welcome the phenomenon is. "We need all the help we can get." But the dropping crime rate is only half of Hernandez's power: Martinez explained that the nation's women are affected. The drama of watching the Premier League star at work is apparently enough to send thousands of excited women across the country into labour. "The birth rates go up," the policeman added. It's often said that players become gods among their fans; for Hernandez, with his astonishing influence in his homeland, it seems that the saying is for once almost literally true.